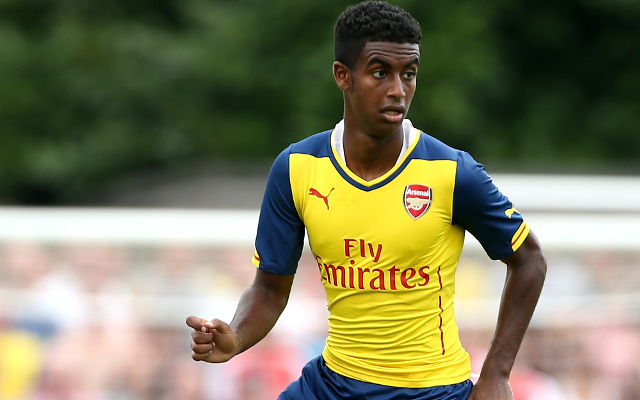 Borussia Dortmund boss Thomas Tuchel has revealed that the club aren’t interested in signing Arsenal youngster Gedion Zelalem in January. The German tactician has a major selection headache as his side prepare to return to action after the winter break, with seven first-team players currently missing. Unsurprisingly, that is likely to be the biggest issue at the front of his mind right now, with little time to think about what will be done in January. However, Tuchel did discuss his plans for the transfer window in an exclusive interview with Raphael Honigstein for ESPN FC, but it probably wasn’t the news that Dortmund fans were hoping for. “I don’t think that we add somebody [in January],” he said. “We had a lot of new players and it all takes time [to settle]. Even the German guys, who have a lot of experience, you have to admit that it took its time for them [to settle]. Every change in a club takes time. As noted by ESPN FC, reports earlier this week suggested that Zelalem was close to moving to Germany with the 19-year-old struggling with a lack of opportunities in north London and in turn he had been forced to consider his options. The US international has made two short appearances in the EFL Cup so far this season, but with his situation at Arsenal not showing many signs of changing dramatically, he may well still believe that his future lies away from the club. Arsene Wenger has a wealth of options in midfield and the attacking positions, and so it’s difficult to see where Zelalem will be able to break into the team on a regular basis moving forward. However, he is likely to now have another six months at least to prove his quality and worth to the club.